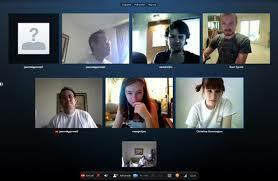 In this article, we will tell, how to organize a conference on Skype. choose the right people from your contact list. The choice is left mouse button while holding down the Ctrl key. To do this, select a contact from the list, click on the right mouse button and select Invite to Conference. Do not forget, that subscribers add to the conference call can only be one user, who created it. Also effective communication requires, to all the participants of the conference was a good speed and high quality connection to the Internet. therefore, the creator of the conference better to appoint the person, which has the fastest internet and a fairly powerful computer.